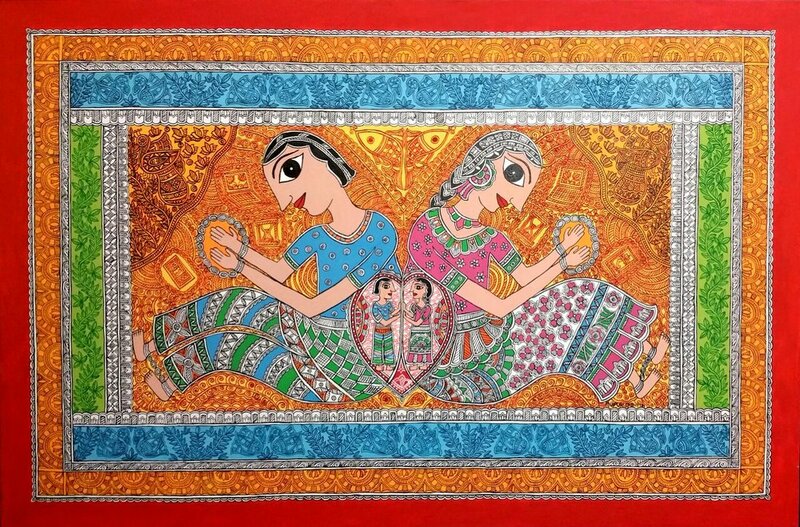 Nupur Nishith is a Bayonne, New Jersey award-winning artist, famous for her Mithila/Madhubani art work inspired by her birthplace in India. Her paintings have been awarded and exhibited at various galleries, shows and publications in India and in the USA. Her painting “Dheeya” (dheeya means girl-child in Maithili) won an award at The National Juried Art Show Color organized by the Brooklyn Waterfront Artists Coalition and juried by the curator from the Museum of Modern Art (MoMA). Nupur Nishith’s paintings are in private collections all around the world. The artist’s hand painted piano was displayed as a public art project in New York City this year. Nishith is the owner of Creative Mithila which promotes the Mithila/Madhubani art form - from the ancient traditions to the evolution in contemporary times across the globe.